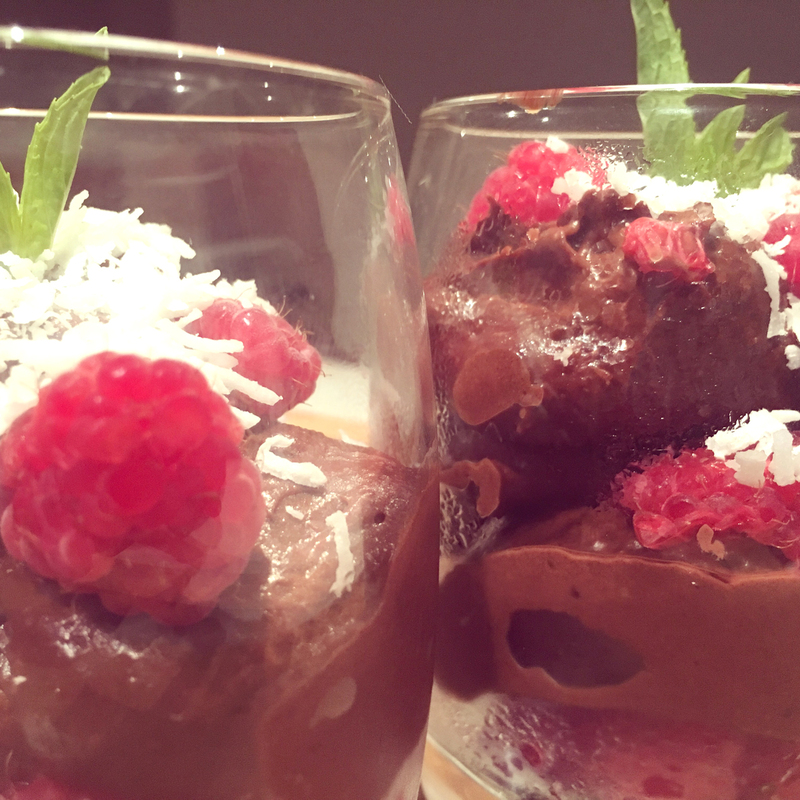 The secret to this Raspberry Chocolate Mousse is the combo of coconut, raspberry extract and cacao. Mmmmmm. I can’t get enough of it! Double the quantities so you can have as a treat all week! Put all ingredients into a high speed blender except the garnish ingredients and process until smooth. If the mixture is too think you may want to add more fresh coconut water until you get the right consistency. You don’t want it to be too runny, it should hold its form on a spoon. Adjust to taste. In a glass place raspberries in bottom and squish a few so it creates a juice. Carefully spoon in the mousse, and adding extra raspberries, squishing them as you go. Top with extra raspberries, shredded coconut and mint sprig. Hint: The Medicine Flower Raspberry Extract is what makes this dish super special. If you want to grab some head to our store here. Want the book? Grab your copy here!